If you are a hummus-lover, this review is especially for you, because DC's Little Sesame elevates the middle eastern spread from a grocery-aisle staple to the star of the show. 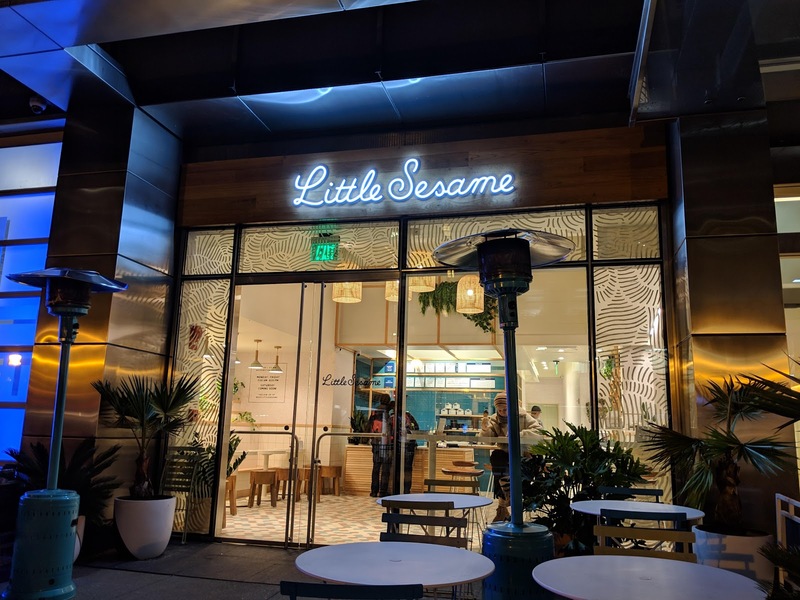 Located in the bustling Golden Triangle neighborhood (in the former home of Veloce, may it rest in peace), Little Sesame brings a decidedly different take on the current fast-casual bowl craze. 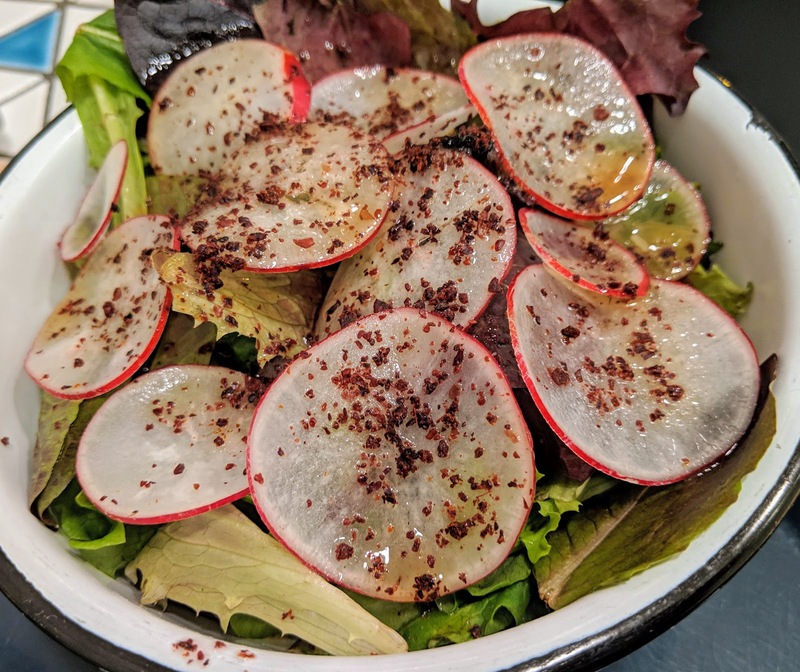 With a fun and inviting space and focus on real, artfully prepared ingredients, the restaurant is a refreshing break from the mold of my usual go-to bowl places around the city. 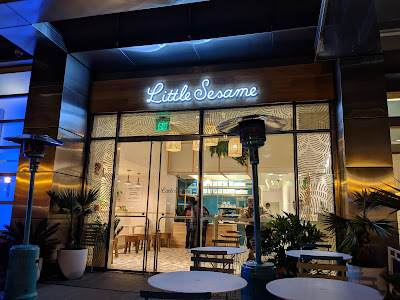 Enticed by rave reviews and an intriguing menu, I was excited to see how Little Sesame would measure up compared to some particularly impressive experiences I've had lately. The two main entree categories on hand are the hummus bowls and pita sandwiches. 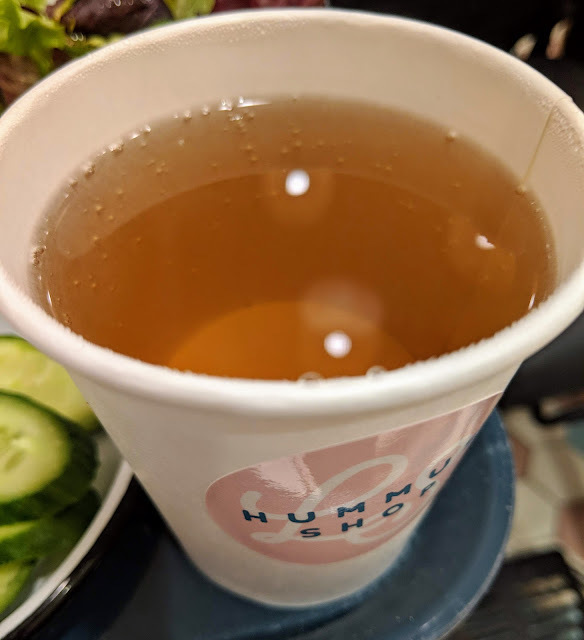 Unfortunately, Little Sesame doesn't have a gluten-free option on hand (I definitely recommend these gluten- and dairy-free pitas if they are looking for suggestions), so gluten-free diners should stick with the hummus bowls and request crudite instead of pita. Of those, there are six options to choose from, many being completely vegan, and only one contains gluten: the winter greens bowl. The helpful staff were able to point me in the right direction to what would be both gluten and dairy-free. Because I was visiting after work to grab dinner before catching a performance at the Kennedy Center, I ordered multiple dishes so as to sample around the menu. For my bowl, I selected the #3 roasted cauliflower, and accompanying that, I ordered the field greens and radish salad and a hot mint tea. I was heartbroken that it was too cold to try their homemade dairy-free soft-serve (which comes in chocolate, vanilla, and swirl), but definitely made a mental note to stop by as soon at the first sign of spring arrives! The resulting bowl is delightedly different than many of the other "bowl" places I have tried, as it's beautifully prepared (while taste outranks beauty, I certainly appreciate the latter, especially in fast-casual situations). A generous bed of hummus forms the base of the bowl, and it has a deliciously smooth and creamy texture. After ordering I worried about how garlicky the spread would be and whether it would be an unwelcome companion for the rest of the evening, but this hummus steered clear of that potential pitfall with a subtle garlic flavor that did not overpower the flavor profile. 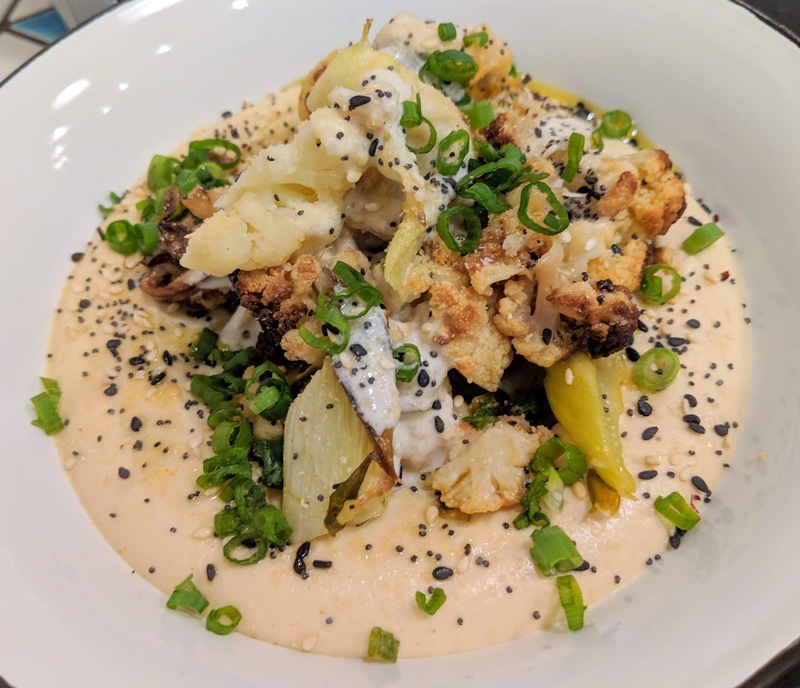 The bowl was topped with a lovely grilled cauliflower, fragrant green onion, and a drizzle of tahini which complemented the hummus. The real star of the show however, was a sprinkle of everything bagel inspired spices, which made every spoonful pop with flavor and texture contrasts. Deftly merging some serious breakfast-for-dinner vibes and plant-based-perfection, I was definitely impressed with how Little Sesame upended my expectations going in and expertly stuck the landing. The field greens, radish, and sumac dressing side I ordered featured fresh, crisp veggies. Sprinkled with sumac and with a tart dressing, it was nice to have a contrasting flavor in between bites of the hummus bowl. While this salad was good, it didn't exactly have the wow factor of the bowl, so I'm not sure I'd immediately order this again on future visits. Rounding out the meal was a lovely mint hot tea, which provided much appreciated relief from a wickedly windy and cold evening. Without sweeteners, Little Sesame rightly lets the natural soothing flavor of mint take center stage, resulting in a truly lovely tea. 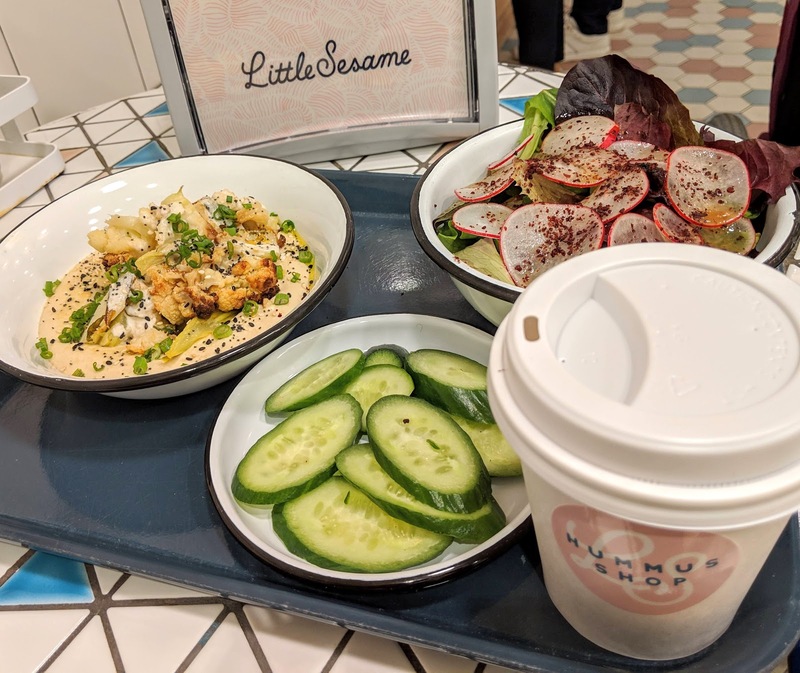 Little Sesame is definitely worth stopping by, especially if you are a hummus connoisseur or looking for veg-friendly options. I will never look at this spread the same way again now that I've had their divinely-textured hummus, and definitely left with a much higher standard of what hummus can (and should) be. With a convenient location and refreshing break from DC's endless parade of rice/salad bowls, I definitely plan on returning to Little Sesame, especially as we move into the warmer months when I'm looking for lighter, but still filling, fare. Oh, and it's worth mentioning again that they have on hand one of the rarest of rare finds: gluten- and dairy-free soft serve! I will be sure to update this review as soon as it's warm enough to consume frozen desserts again.